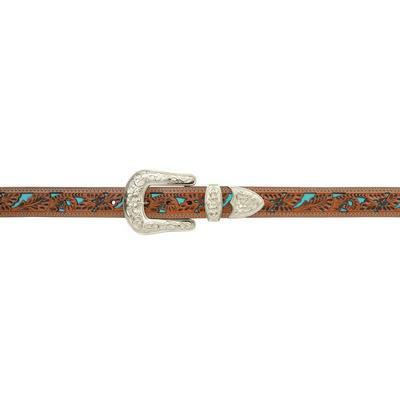 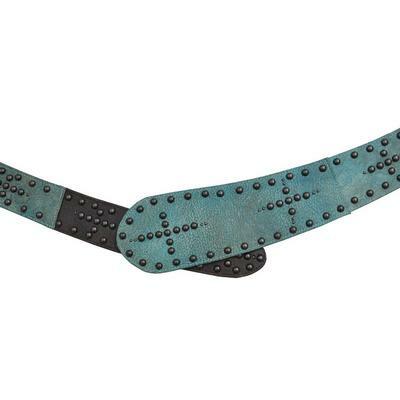 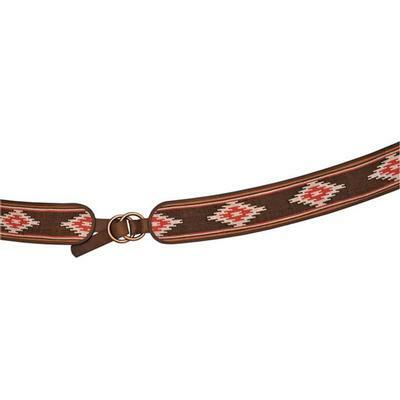 Complete your western style with this pretty belt. It features a black, red, orange, and white southwestern print fabric with a distressed brown leather and a copper tone double o-ring closure. 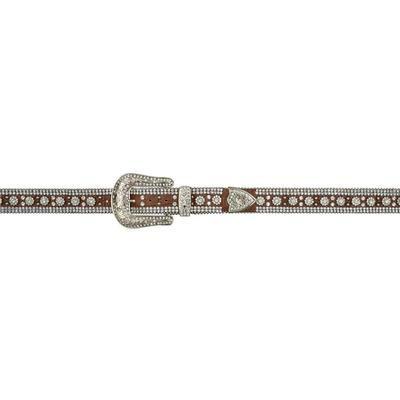 Pair it with a denim dress and boot for a night out.